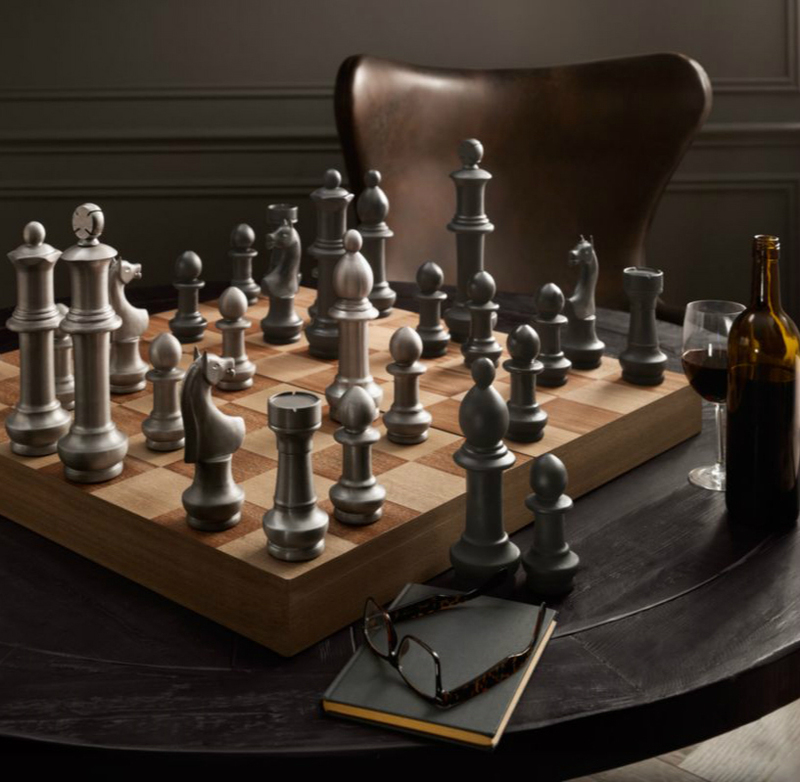 Brought to you by the team at Restoration Hardware, this Giant Vintage Aluminum Chess Set is absolutely gorgeous. 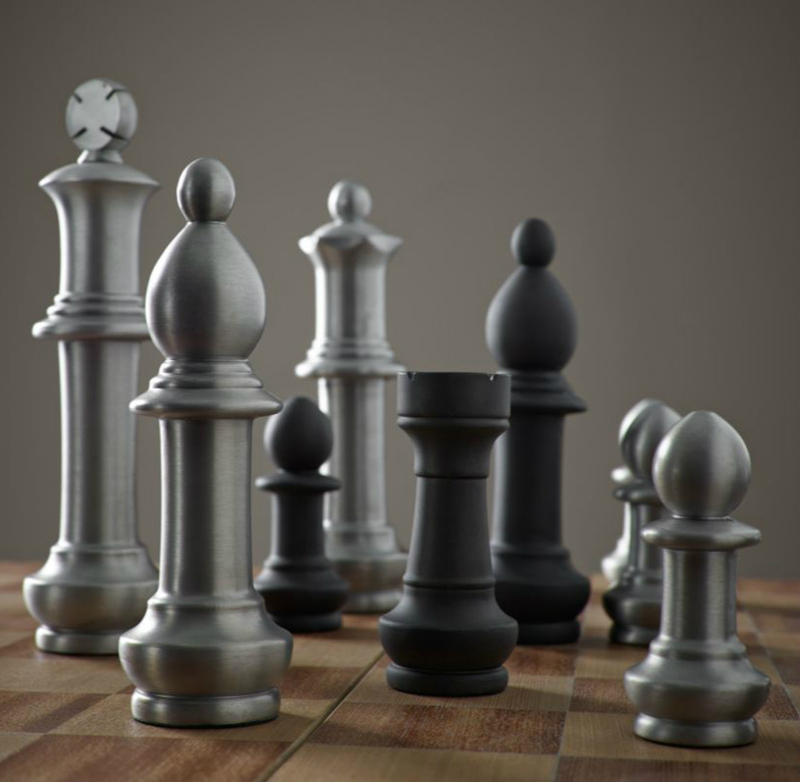 More than just a tabletop game, this is a striking visual statement. 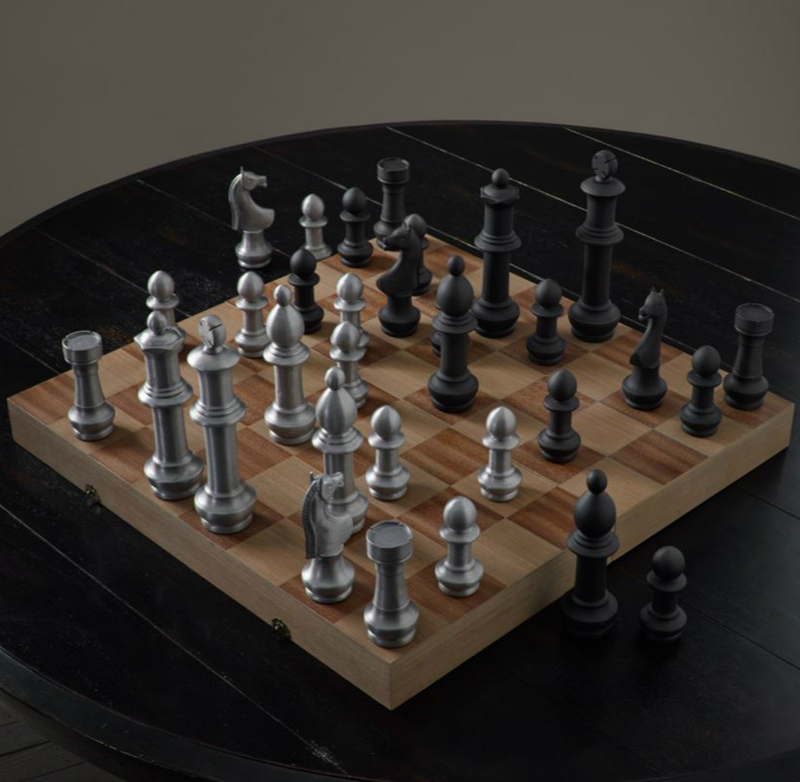 Each oversized piece is constructed from sleek aluminum, and the board is crafted from equally beautiful inlaid wood with a stained finish to complete the look. 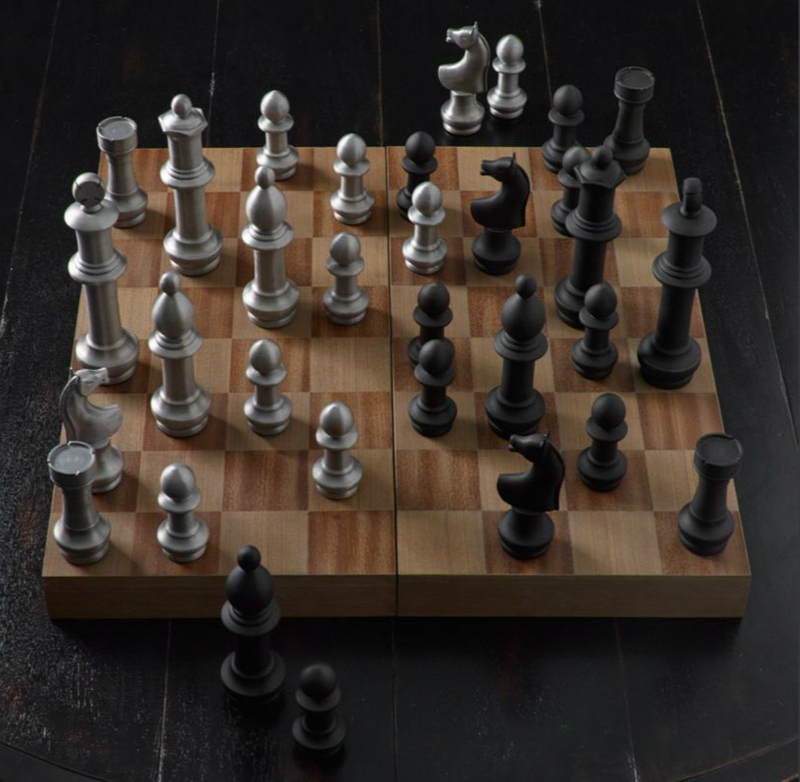 The board measures in at nearly 30 inches, while the pieces range in height from 5 to 8 inches with an industrial finish on the lighter pieces, and a darkened metal finish on the dark pieces. As with all things made by RH, this thing will cost you. 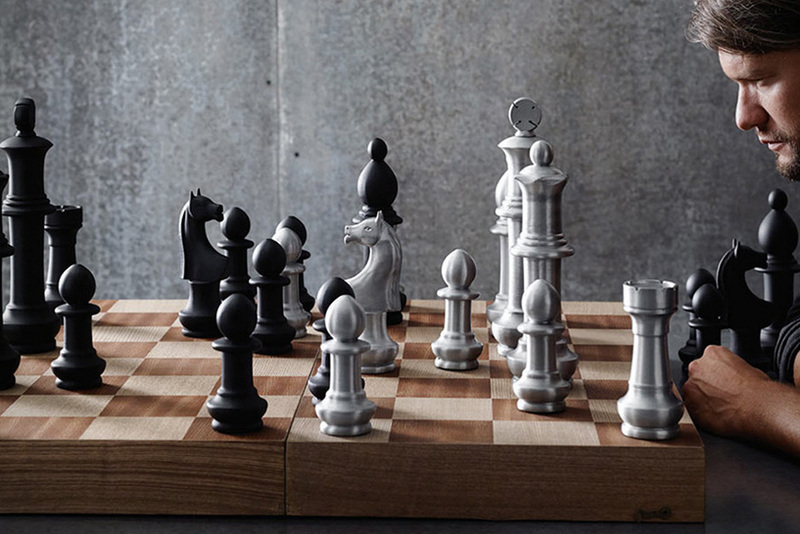 The vintage set carries a retail price tag of $399. Interested? You can this set here.